FLOYD AND SONS LIVESTOCK WELCOMES YOU! We welcome you to our site and want you to know we are here to assist you in your livestock needs. From buying, selling, appraising, trucking, feed and of course cattle sales, we are a full service stockyard. Tour our site, learn about our services and contact us with your livestock needs. You will discover we offer excellent service, a friendly smile, and most importantly integrity. TN VALLEY LIVESTOCK SPECIAL SALE INFORMATION! HARDIN CO. STOCKYARD SPECIAL SALE INFORMATION! Tennessee Valley Livestock has a Cattle Sale every Monday at 12:00 Noon. Sellers may begin bringing their cattle on the Sunday before the Monday auction. Workers will present beginning at 10:00 a.m. until dark on Sundays. 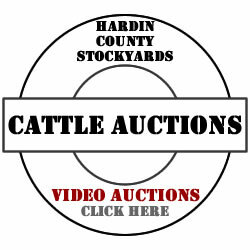 Hardin County Stockyards has a Cattle Sale every Wednesday at 1:00 p.m. as well as a Goat and Hog Sale which begins earlier in the day at 11:00 a.m. Sellers may begin bringing their animals on Tuesday before the Wednesday sale. Workers will be present to receive the animals from 8:00 a.m. until dark on Tuesdays. Riverworn Designs by Riverworn, Inc.